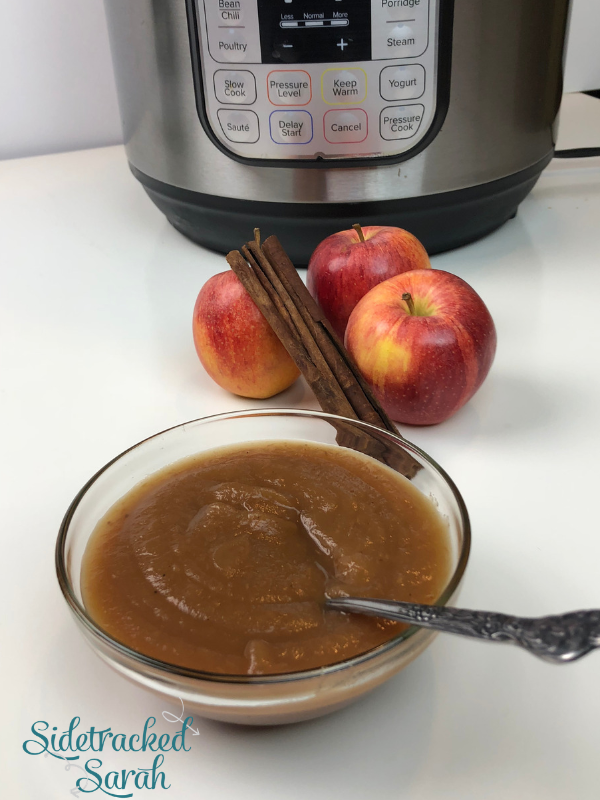 My Instant Pot Apple Butter Recipe Is Easy to Make and Is Such a Delicious Fall Treat! 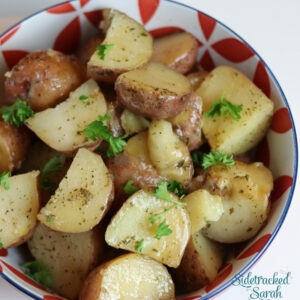 We love Instant Pot recipes! Some of our favorites include Super Easy Instant Pot Ham and Grandma’s Instant Pot Chicken Noodle Soup. There are some recipes that just kind of scream “fall.” Apple butter is one of them! 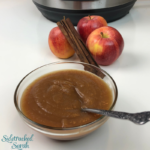 Usually, apple butter takes hours; with your Instant Pot, you can have it ready in minutes! And while it’s cooking, you can whip up some Southern Cornbread Muffins to slather it on, if you feel so inclined. They’re delicious together! In spite of its name, apple butter doesn’t actually have any butter (or any kind of dairy). It can be described as kind of a concentrated type of apple sauce. It’s thick and creamy, wonderfully spreadable, and has an amazing blend of sweet apple flavor and fall spices. In other words, it’s just plain delicious! WHAT TYPE OF APPLES SHOULD I USE FOR INSTANT POT APPLE BUTTER? This is really up to you! What type of apples you should use depends on what apple flavors your family prefers. If you like a sweeter apple, something like Red Delicious or Honeycrisp will work well. On the other hand, if you prefer a tart apple flavor, something like Granny Smith would be a great choice. The fun part about this recipe is that you can mix your apple varieties to find a flavor that your family loves! 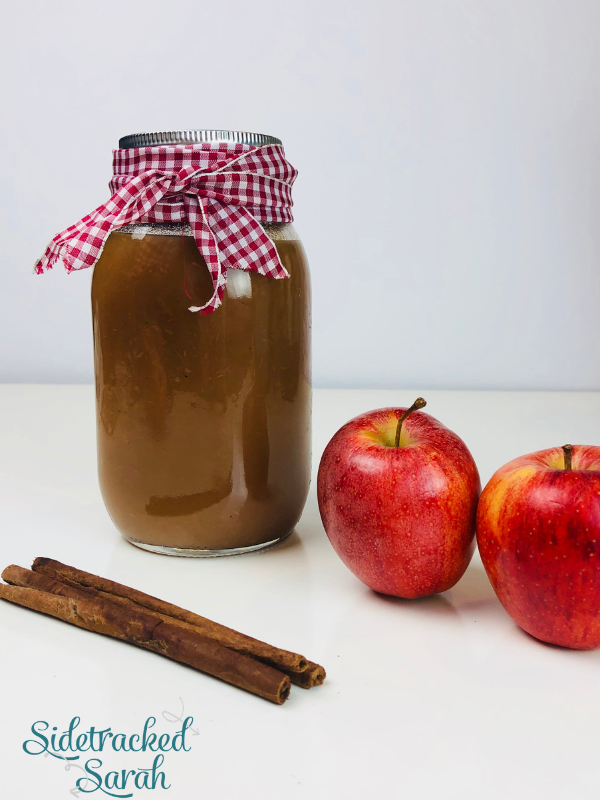 WHAT ELSE CAN I SERVE INSTANT POT APPLE BUTTER WITH? The possibilities are really endless. You can use it to top Instant Pot Sweet Potatoes, top some pancakes with it, stir it into some yogurt, or even put a dollop on top of the ice cream for Slow Cooker Apple Crisp! Core and Cut apples into slices. Place all ingredients into the Instant Pot and stir to coat apples evenly. Cook on Pressure Cook/Manual, high pressure for 8 minutes. Natural release the pressure (this could take up to 15 minutes -- you'll know it is done when the pin falls back down). Take the lid off and remove the cinnamon sticks. Pour cooked apples and liquid into the blender and blend until smooth. Pour it back into the Instant Pot and turn to Saute for 15 minutes. Cook and stir until it reaches the desired thickness. Be careful, as it starts to boil, it will splash you. If it begins to splash out of the Instant Pot, turn it off and continue to stir. Turn off and let cool, before pouring into a jar or other container with a lid. This will last at least 3 weeks in the refrigerator. 8 Amazing Dip Recipes to Please a Crowd!